Hēnare Mātene Te Whiwhi (?–1881) was of Ngāti Raukawa and Ngāti Toa. As a young man he lived through the turmoil of his people's migration to the Cook Strait region. This may have formed the major theme in his life – to preserve peace. In 1839 he travelled to the Bay of Islands seeking a Christian missionary for his people. As a result Octavius Hadfield later settled at Waikanae. In 1840 Te Whiwhi signed the Treaty of Waitangi, brought south by another missionary, Henry Williams. In the mid-1840s Te Whiwhi himself became a missionary among the Ngāi Tahu people of the South Island. In 1847 he was took part in selling Ngāti Toa's Wairau lands to the government. At this time Te Rauparaha was held captive – without charge or trial. Some historians claim that the land sale was a ransom for his freedom, rather than a genuine sale. In the 1850s Te Whiwhi began to push for a Maori King as a way to protect remaining Māori lands. However, he favoured peace and moderation. 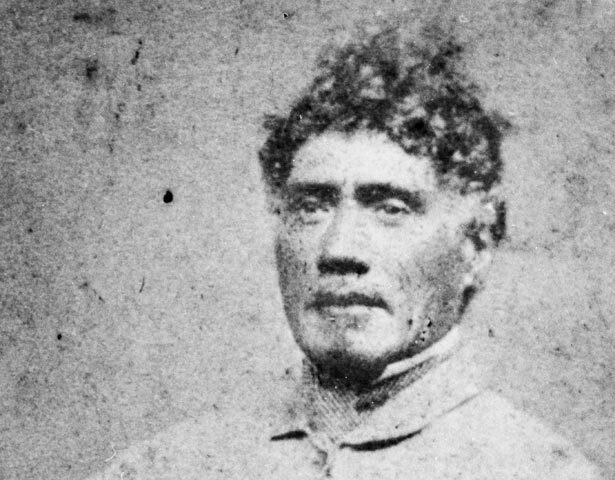 When war broke out in the 1860s his main goal was to keep the violence away from Ngāti Toa's lands. He was even prepared to cooperate with the government to achieve this. As W. H. Oliver notes, his final aim - peace - drove him into the arms of the government. He died in 1881. Ko Ngāti Toa rāua ko Ngāti Raukawa ngā iwi o Hēnare Mātene Te Whiwhi (?-1881). I ngā rā o tana ohinga ko ia tērā ka heke me te iwi ki ngā rohe i ngā tahatika o Te Moana o Raukawa. Nā ana kitenga pea i tērā wā ka toko ake te take nui mā Te Whiwhi, ā, mate rawa, arā, te hohou i te rongo. I te tau 1839 ka haere ia ki Pēwhairangi ki te rapu i tētahi mihinare Karaitiana mō tōna iwi. Ka whakaae a Te Harawira (Octavius Hadfield) ko ia ka haere ki te hāpai i ngā mahi mīhana. Whāia, ka tū te kāinga o Te Harawira ki Waikanae. I te tau 1840 ka haina a Te Whiwhi i te Tiriti o Waitangi, i kawea ki te tonga e tētahi atu mihinare, e Te Karuwhā (Henry Williams). I te pokapū o te tekau tau atu i 1840, i te mahi mīhana a Te Whiwhi ki roto i a Ngāi Tahu i Te Waipounamu. I te tau 1847 ko ia tērā ka whai wāhi ki te hokonga o ngā whenua o Ngāti Toa i Te Wairau ki te kāwanatanga. I tenei wā, kua mauherea a Te Rauparaha kāore he whakapae, kāore he whakawākanga. Ko te kōrero a ētahi tumu kōrero, ehara taua hokonga i te hokonga pono, he whakaritenga kē e tukua ai a Te Rauparaha. I te tekau tau atu i 1850 ka tīmata tana hāpai i te whakatū o tētahi Kīngi mō te iwi Māori, hei pupuri i ngā whenua e toe tonu ana ki te Māori. Hāunga tērā, ka pūmau ia ki te ara hūmārie. I te pakarutanga mai o ngā riri i te tekau tau atu i 1860, ka ngana a Te Whiwhi ki te ārai atu i te riri, kei eke ki ngā whenua o Ngāti Toa. E ai ki a A. H. Oliver, nā tana ngana kia mau te rongo a Te Whiwhi i whakawhirinaki atu ai ki te kāwanatanga. Nō te tau 1881 a ia i mate ai. We have 40 biographies, 11 articles, related to Hēnare Te Whiwhi.